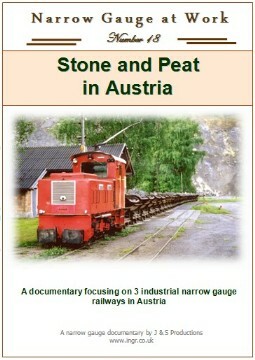 This release looks at just 3 systems in Austria, the peatworks at Burmoos, Diabaswerk Saalfelden transporting stone, and the unique Dienstbahn at Lustenau. 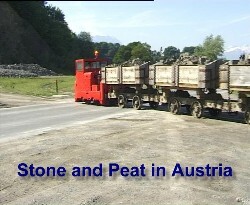 The primary focus is on this last railway, a 750mm gauge railway using skips, flat wagons and wooden bodied side tipping wagons to transport stone to the mouth of the Rhine in the Bodensee. 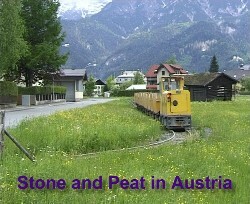 The railway actually travels through both Switzerland and Austria. The Schöma loco of Diabaswerk Saalfelden leaving the town with a train of empties in May 1997. 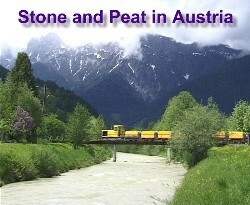 The same loco crosses the river Saalach further up the line. 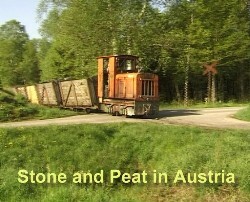 It crosses one of the minor roads leading into Saalfelden on an ungated level crossing. 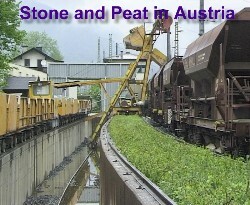 A facinating hoist is employed to empty the small side tipping wagons and load the standard gauge wagons. 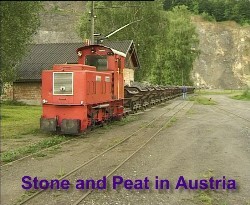 One of the deisel electric locos of the Deinstbahn waits near the quarry with a rake of full skips in May 2000. 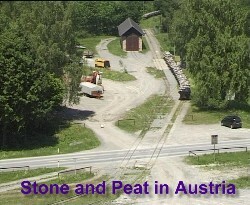 Looking down onto the terminus and small loco shed at Koblach from the top of the quarry. 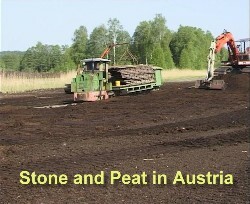 Burmoos had a long peat railway until just a couple of years ago. One of the Gmiender locos is seen in the woods near the peat moors in May 1997. 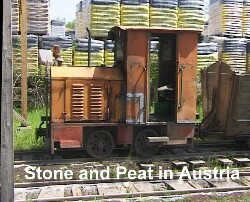 The Jung loco 'Dora' was captured on a track lifting train. Returning to the moors with empties several ungated level crossing were negotiated on the journey. 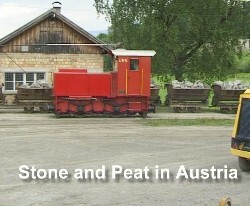 In Burmoos works a small Deima was in use as the yard shunter. 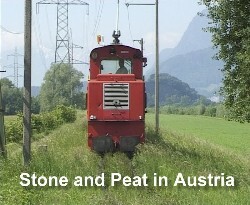 Just before the river bridge crossing into Switzerland one of the diesel electric locos hauls a train of stone to the Bodensee. 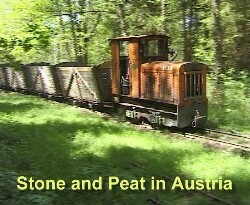 At the quarry, one of 2 Motor Rails shunt the wagons over the main road. 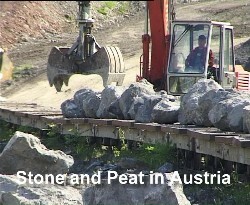 Flat wagons are loaded with large rocks at the quarry in Koblach. 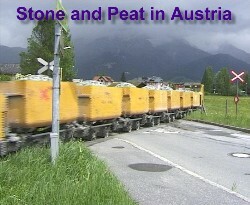 URS is seen by the quarry next to a full train of skips.